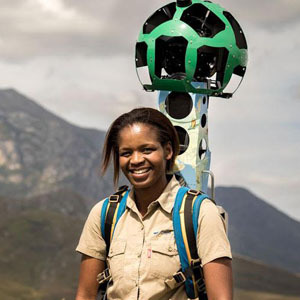 [Johannesburg] 2 November 2017 – A team of nature-loving South Africans in partnership with Google Street View have released a large collection of 360-degree imagery of the country’s wildest areas. The announcement of 170 new trails in South Africa’s national parks and reserves follows on from The Mzansi Experience launched in March 2016, which showcased prominent tourist attractions such as Kruger National Park, Table Mountain and Cape Point amongst others. The new trails, launched today, extend the existing Street View imagery of South Africa’s wilderness areas to include all 19 national parks, 17 previously ‘un-trekked’ nature reserves and many sites of natural, cultural and historical significance in all nine provinces of South Africa. More than 200 South African volunteers from across the country were involved in the 12-month project, mapping out the parts of South Africa that they call home. Many were SANParks, CapeNature and KZN Ezemvelo Wildlife rangers and guides. Others were avid hikers, nature-lovers and tech enthusiasts. “The hundreds of volunteers who helped along the way proved to be truly passionate about showing the best of South Africa through their participation in the loan program,” says Magdalena Filak, Program Manager for Google. 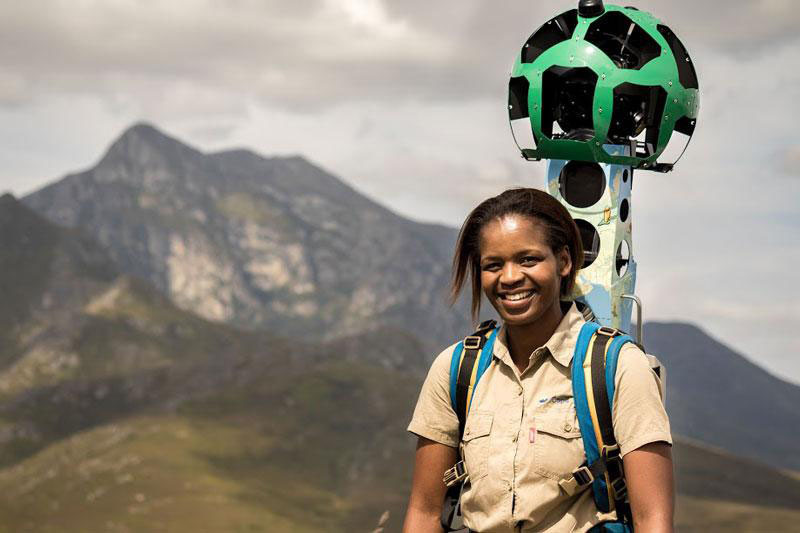 Mate Modisha, a field ranger at Cape Nature’s Grootvadersbosch Nature Reserve is one of 206 South Africans to carry the Google Trekker camera. The project forms part of Google’s Street View Camera Loan Program, which encourages anyone to apply to borrow the 360-degree camera technology and help map the planet. The team of volunteers was coordinated by loan program partner Drive South Africa. Andre Van Kets, outdoor enthusiast and founder of the Cape Town-based travel company, saw the potential in this technology to showcase South Africa to travellers around the globe, when applying to the program. “The Trekker camera is a 22kg custom-made backpack fitted with 15 cameras pointing in all directions. The on-board technology plots the camera’s exact location on the trail. While recording, the camera takes a 360-degree photo every two-seconds. It’s basically the off-road equivalent of Google’s Street View cars,” says Van Kets. “For the first time, travellers and wildlife lovers from across the globe, can explore the full spectrum of South Africa’s diverse wilderness areas on Google Maps and Street View,” he added. 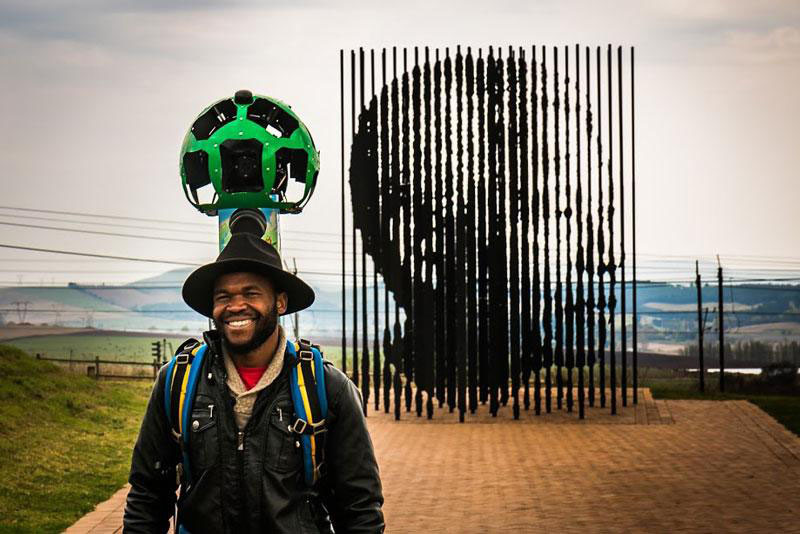 Street View users can now view Marco Cianfanelli’s extraordinary sculpture of Nelson Mandela at the Nelson Mandela Capture Site. The site marks the spot where Mandela was arrested before his 27-years’ imprisonment. Lyanda Nyandeni, KwaZulu-Natal tour guide, proudly ‘trekked’ the location. Street View users can now walk in the footsteps of struggle icon Nelson Mandela, climb seven new trails to the top of Table Mountain, hike the famous five-day Otter Trail, track cheetah on foot and walk with elephant and other incredible wildlife (the trekkers were guided by qualified rangers in all wilderness areas). Additionally, seven of South Africa’s eight UNESCO World Heritage Sites are now waiting to be experienced. Users can see Mapungubwe Hill, home to an ancient African civilisation, the Richtersveld with its arid moonscapes, the towering Drakensberg Mountains, and iSimangaliso Wetland Park, South Africa’s oldest UNESCO site and a critical habitat for a range of species. 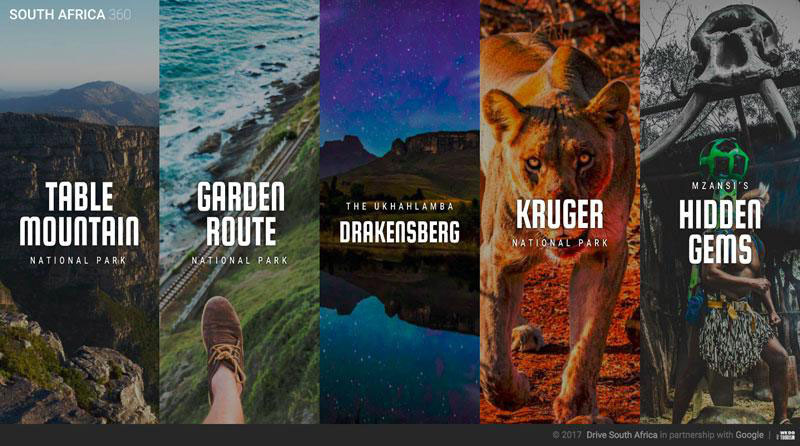 To showcase the launch of South Africa’s new Street View imagery, Drive South Africa has launched a microsite that gives would-be travellers a virtual experience of South Africa. The microsite South Africa in 360 – inspired by a similar project showcasing the US National Parks – is an immersive VR-adventure through South Africa’s four top tourist destinations and a collection of its lesser-known gems. The site is a culmination of Street View imagery with video, photos and stories from the trail, offering viewers unique perspectives.